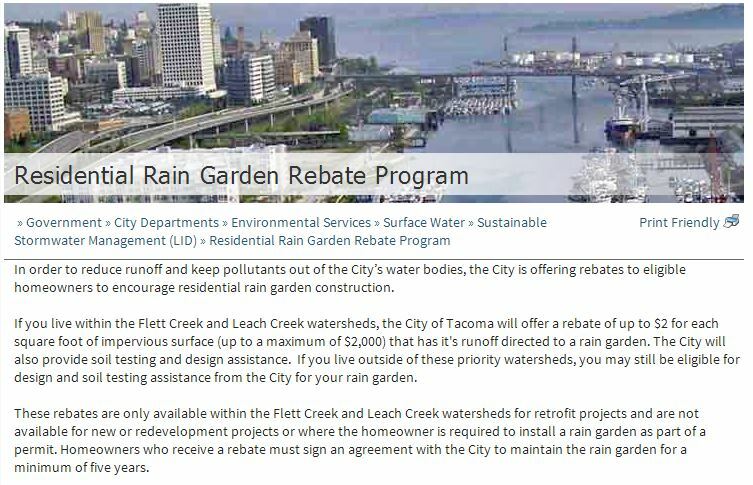 Rain Dog Designs participates as a rain garden contractor in the City of Tacoma’s Rain Garden Rebate program. Eligible homeowners must live inside Flett or Leach Creek Basins. There are a number of steps homeowners should take before asking for an on-site consultation. Please check your eligibility and City guidance at this link.